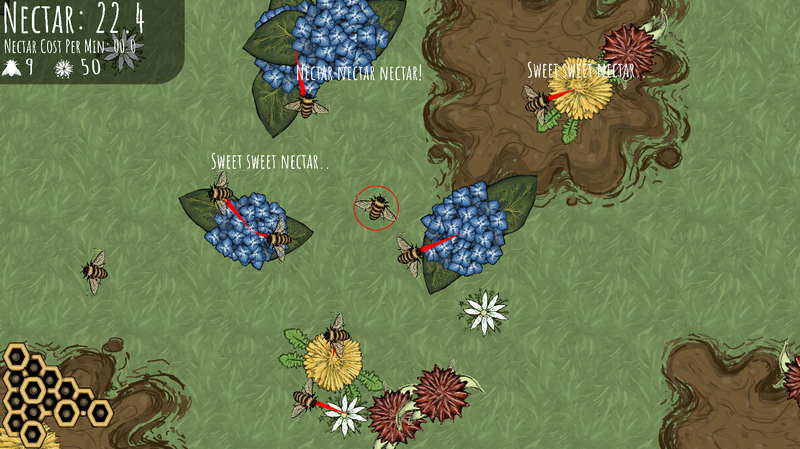 Hive and Honey has the player control a hive of bees, growing and caring for the surrounding garden. 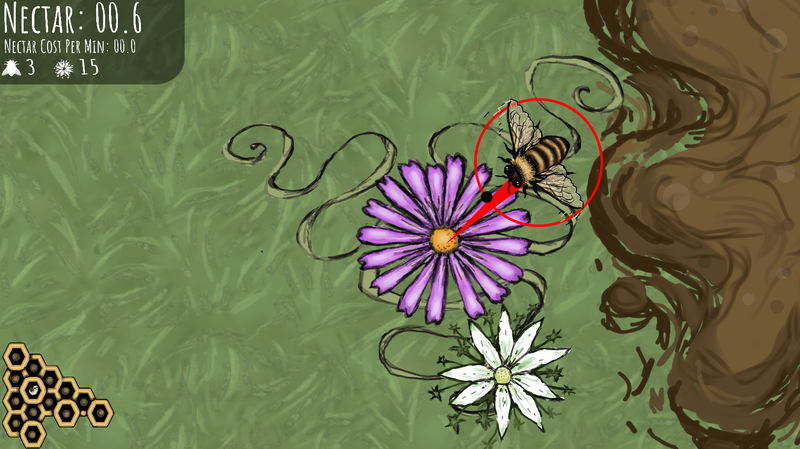 Pollinate plants to create more while managing your hive and resources. 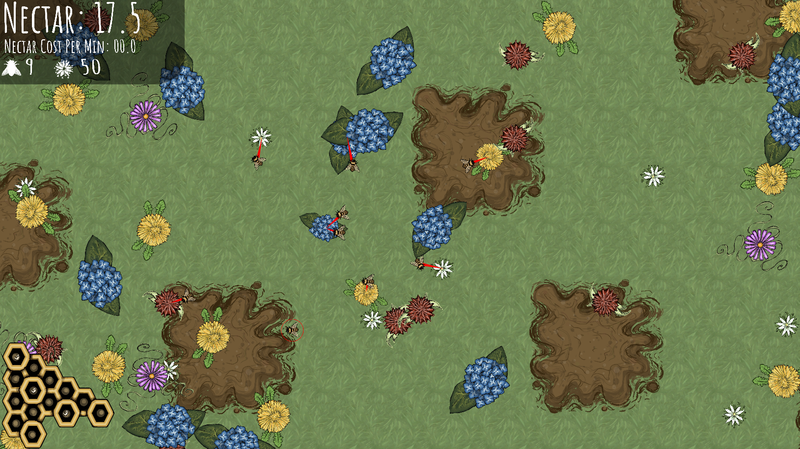 In-development: Regular updates to come. A game made for the Jamingtons 72 hour game jam. Made by Naomi Holt & Dylan Walker. We would love to hear your thoughts on the game and any ideas you might have.